Most of our trip was in Vero Beach (which is close to Wabasso Beach, as Apple is trying to tell me). Here’s a sampling of the weather. And yes, we did leave by the time it rained on the Friday forecast. 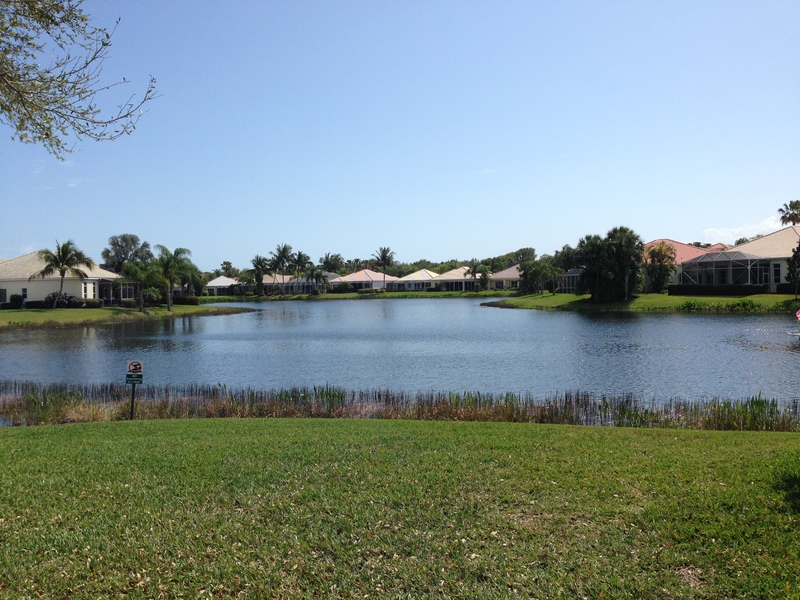 This is what 80 degrees looks like in Florida. We awoke each morning to warmth and greenery. There was a pool involved, too. g and I did visit Key West while we were in Florida as well, and most of our pictures are from that part of the vacation (g likes to plant vacations within vacations – it makes them seem longer). 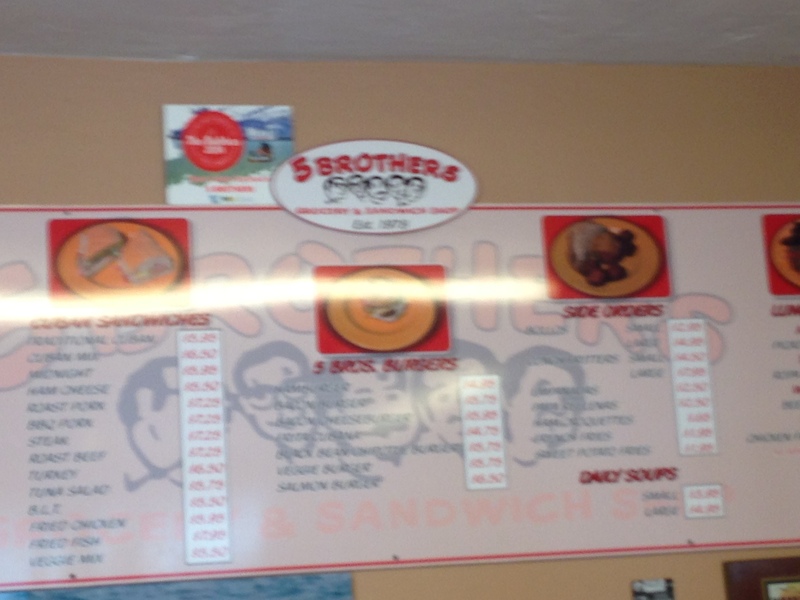 Here is a blurry shot of 5 Brothers Grocery. It’s like a corner store … except it has a kitchen that makes some AWESOME cuban sandwiches and delicious cafe con leche (although not “the best” like we had read). 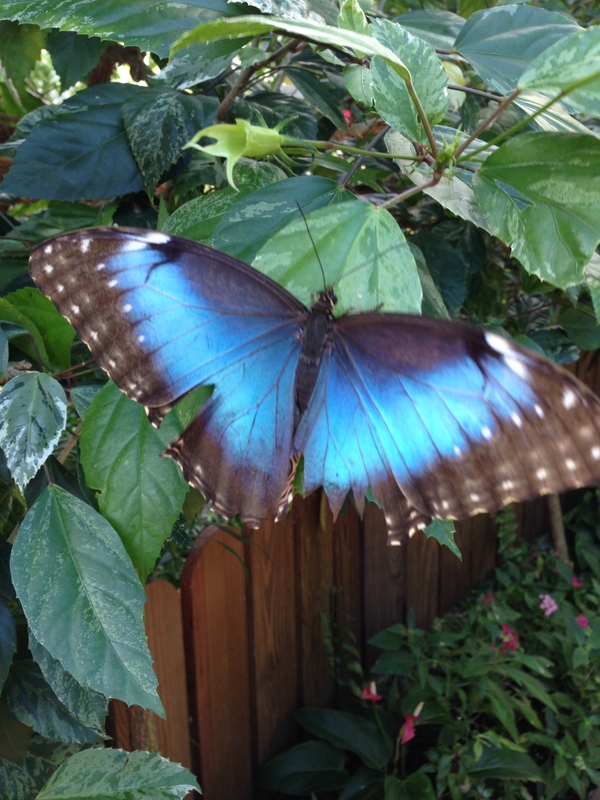 but then they open their wings and you’re greeted with the most brilliant, shimmering colors that no iPhone could do justice to. Oh well – I guess you’ll have to take my word for it. And there were so many that I was genuinely worried I’d step on one. g had a butterfly stalker, as did g’s grandmother. I snapped their pix, but have to omit them here to preserve anonymity. 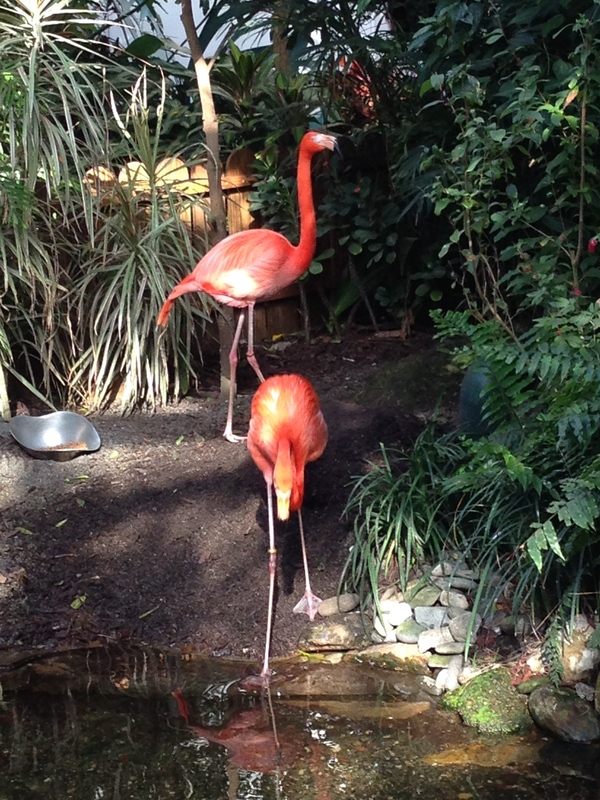 Oh yea – and there were two flamingoes in the conservatory, too! Crazy! 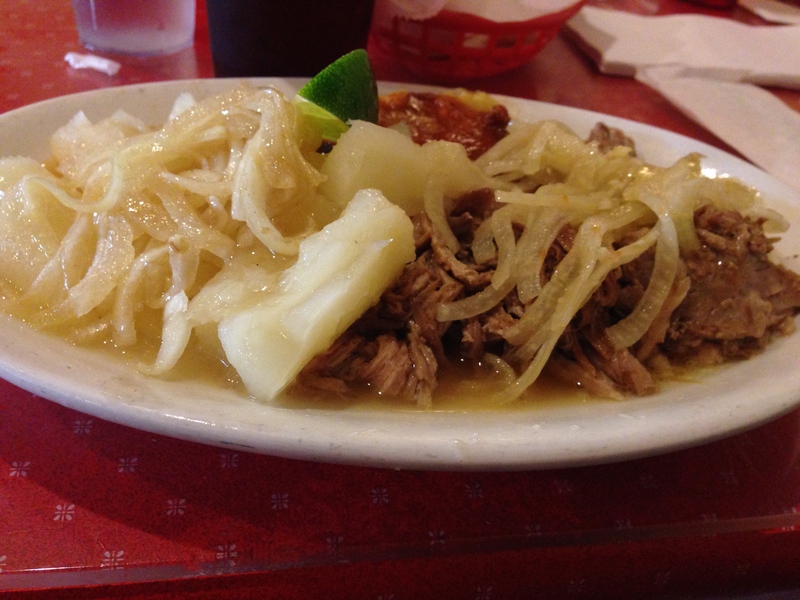 We decided that if we were going to be less than 100 miles to Cuba, we should probably eat some Cuban food, right? 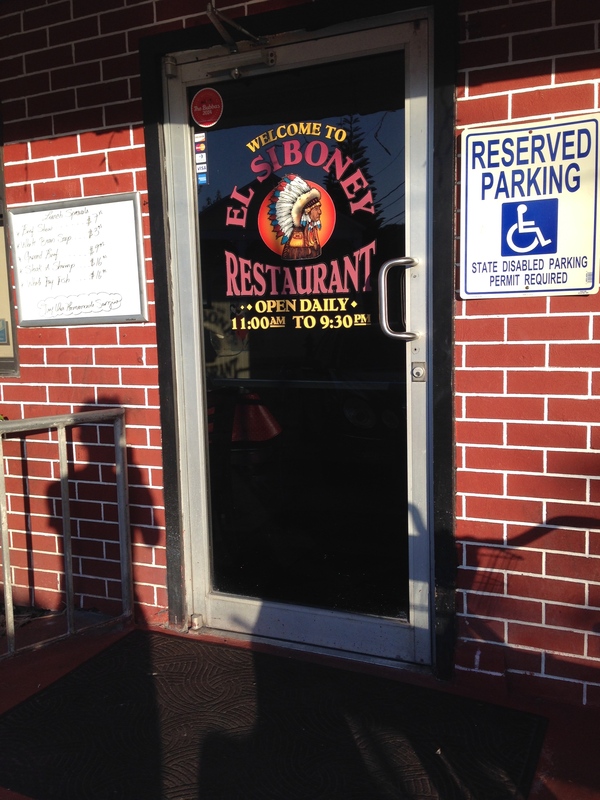 And the one restaurant that pops up in every search for “Cuban food Key West” is this one: El Siboney. They don’t do reservations, but we figured we’d hop on in with the early birds, as we were starving from our car ride. 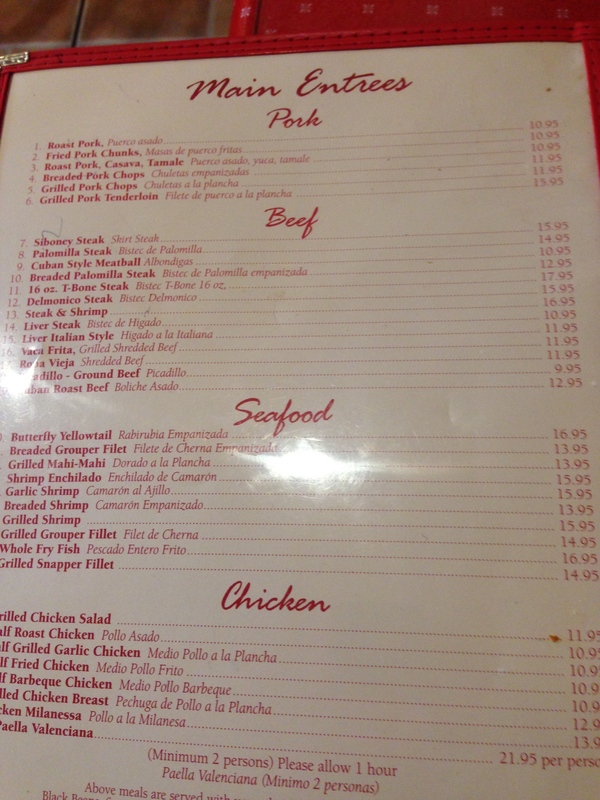 So … if you went to a Cuban restaurant, what would you get? PORK of course! 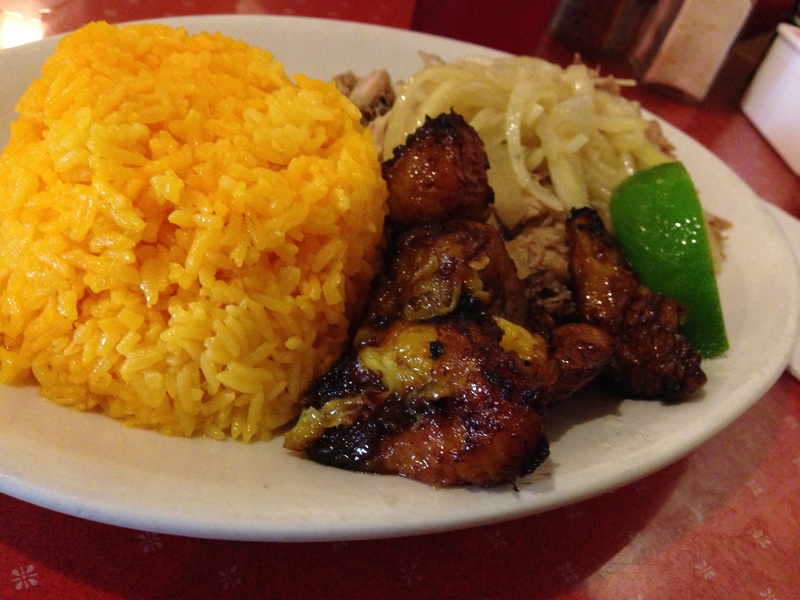 g also had the roast pork, but hers came with rice and sweet plantains (that’s right – g double-fisted plantains: savory and sweet). 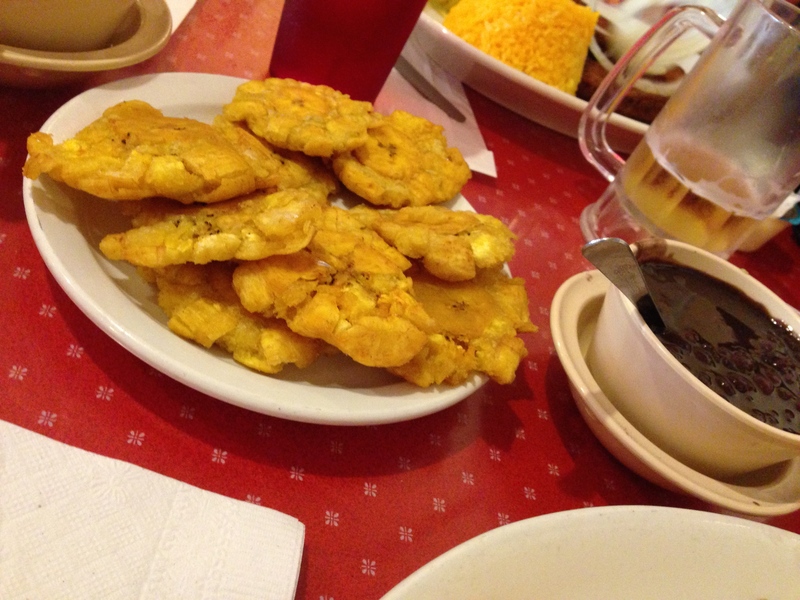 Those plantains were so frickin’ good. g forced me to eat her remainders because “it’d be a crime to leave any”. I happily obliged. 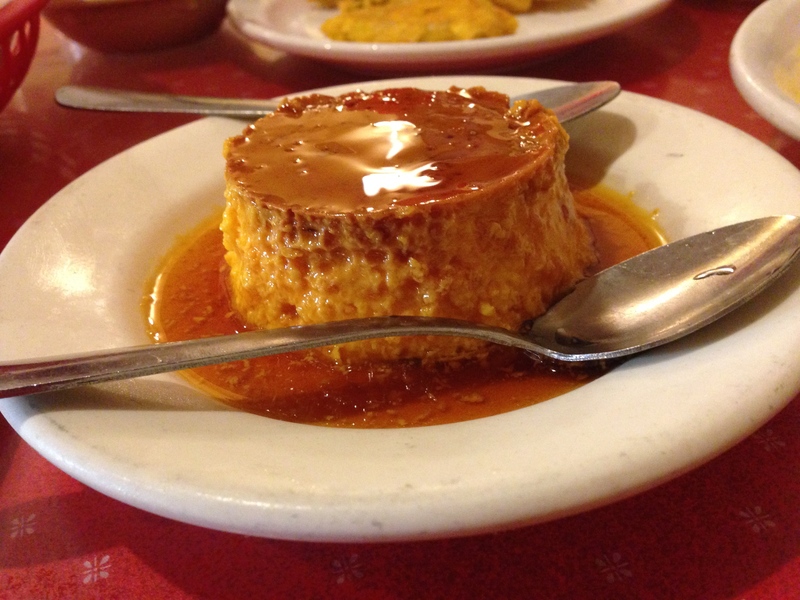 any why not have some creamy delicious flan to finish off the meal? 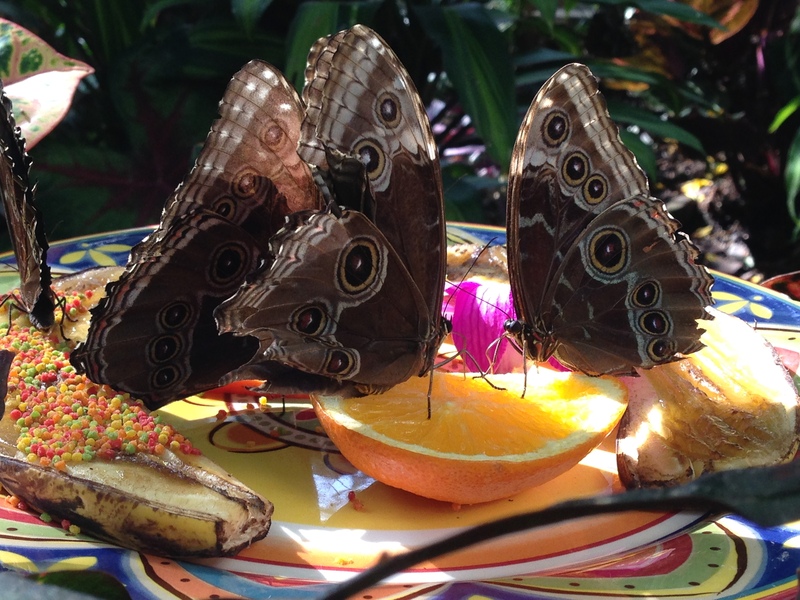 it perfectly slid into the empty spaces of my stomach to push me to an almost-uncomfortable level of fullness. 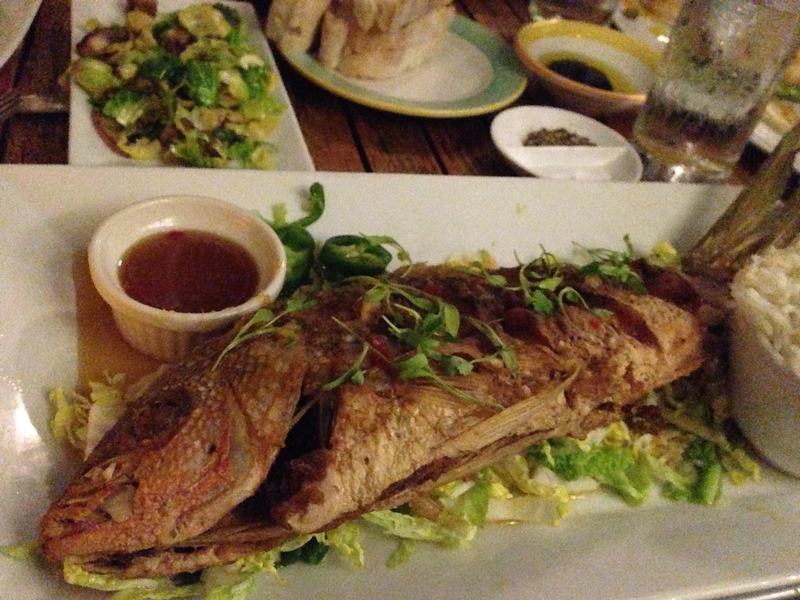 Thank goodness we ate so early – it’d take me until bedtime just to digest it all! HUGE MISTAKE!! 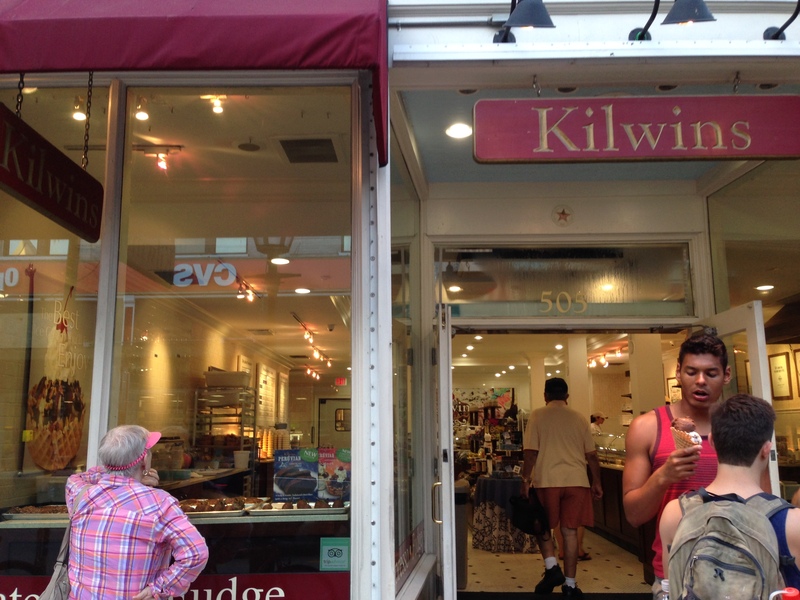 I was oh-so-tempted when surrounded by all that delicious fudge. My mouth said, “Bring it on”, while my stomach said, “why do you hate me so?”. A battle of wills ensued. 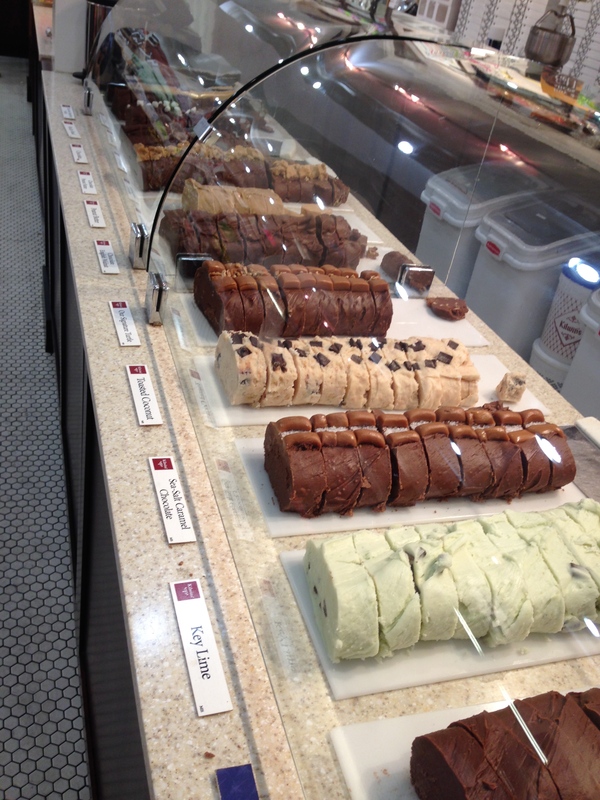 In the end, I forewent the fudge … as I later found out that they ship anywhere!!! Woohoo! 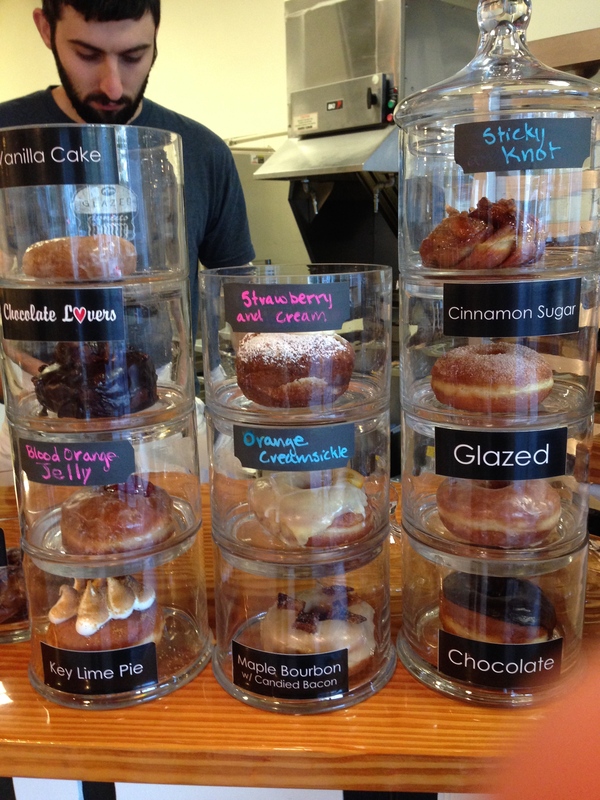 I had recuperated by the next morning … where, in honor of g’s birthday, we started the day off going to a donut cafe. Why did we choose this one … ? BOOM! That’s why. I was so giddy that I forgot how to operate my iPhone and left my finger in the picture (ugh – I HATE it when that happens). We left with a half-dozen donuts for 4 people. It was totally worth it. Strawberry and cream was the best, closely followed by Key Lime Pie. But in the end, when you’re talking donuts, are there any real “losers”? 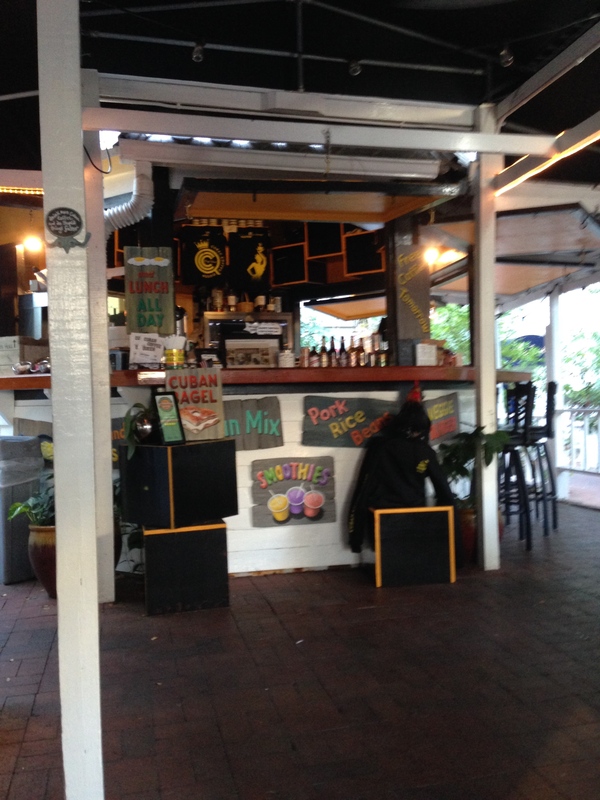 We did try out the Cuban Coffee Queen, and let’s say that THAT con leche put some spring in our step. Tasted wonderful. 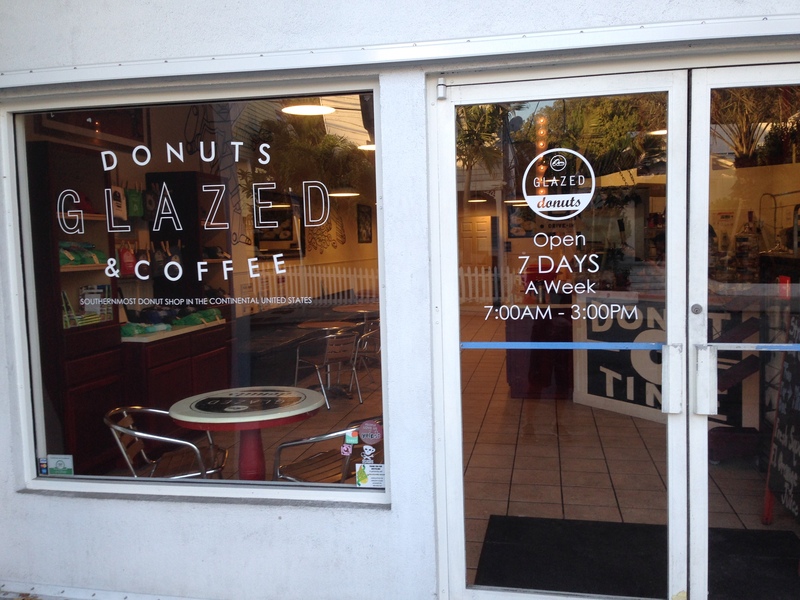 We didn’t have a chance to sample the other cuisine, though (our hands were full of donuts). 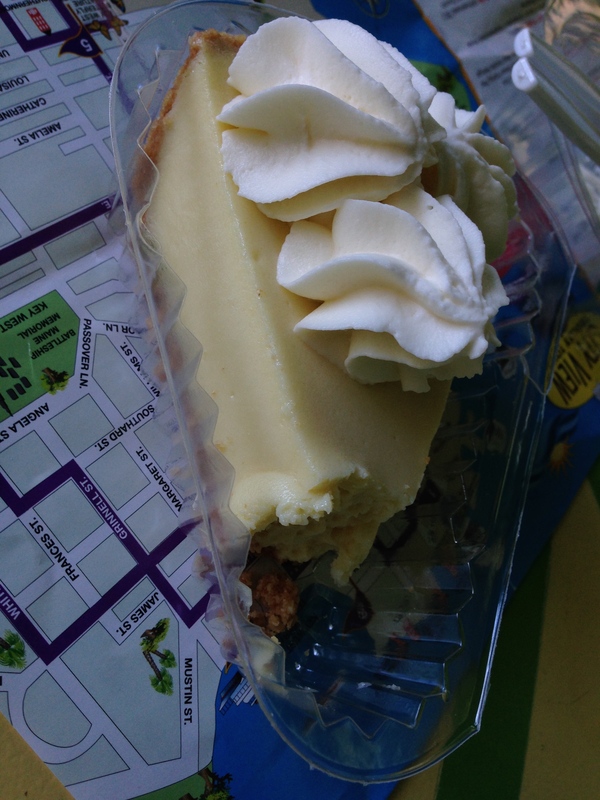 … the REAL winner was the Key Lime Pie. Hell-yea, it’s gimicky (you roll up in there and they have the pie pre-sliced and ready to sell), but when the pie tastes this good, who cares? The secret is in the crust: a perfect crumb crust is necessary, which Kermit’s delivered. Follow that up with a creamy-creamy filling that has a tart limey finish, and you have a winner. I’m not sure it’s the best I’ve ever had, but it was pretty gosh darn legit. 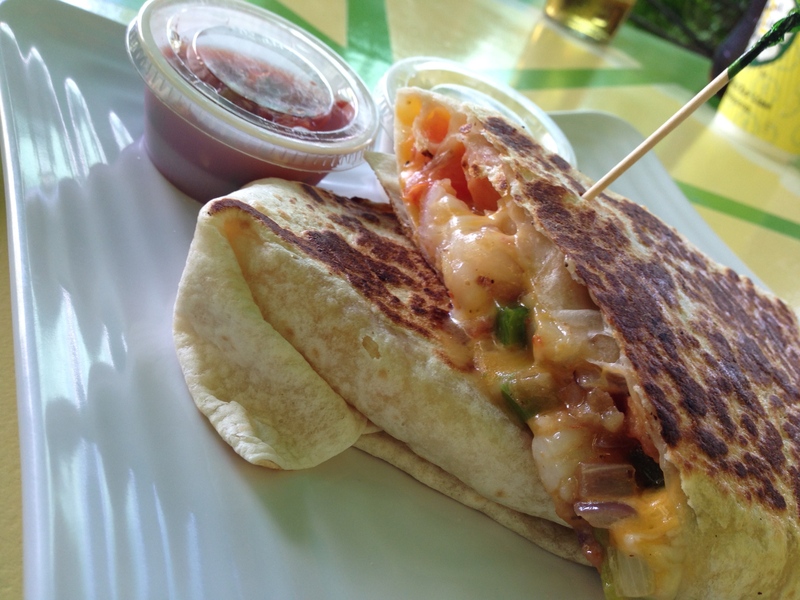 As usual, there were lots of food pictures – but we did do other things in Key West, too! We saw 6-fingered cats at Hemingway House. We visited the outside of Truman’s Little White House (we didn’t bother going inside). We also did one of those hop-on-hop-off things (I mean, why not? It’s like sight-seeing AND transportation all in one!). Duvall street offered quite a few sights (although Spring Break was just starting up the weekend we went). In the end, we quite enjoyed the cute little island. Sure it’s a little over-priced, but similar in our minds to a visit of New Orleans (just a whole lot smaller). As for the rest of our Florida vacay – it involved so much rest and relaxation that I accomplished only 50% of the work I set out to do (and by “work”, I mean things like this blog). That’s a sign of an excellent vacation.